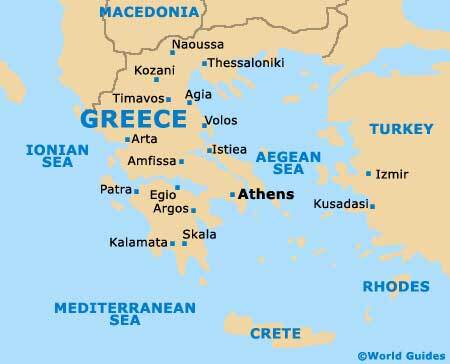 Athens, the Greek capital, is also the largest of all the cities in Greece, being edged on three sides by the mountains of Parnitha, Pendeli and Ymettos. Around central Athens are a number of important and historic hills, including the Acropolis, Areopagus, Lycabettus, Muses, Philopappus, Observatory Hill, Pnyx and Tourkovounia. Athens comprises a number of districts, with some of the most prominent including Exarcheia, Gazi, Kolonaki, Koukaki, Makrygianni, Metaxourgeio, Monastiraki, Omonoia, Plaka, Psiri, Psyrri, Syntagma and Thission. 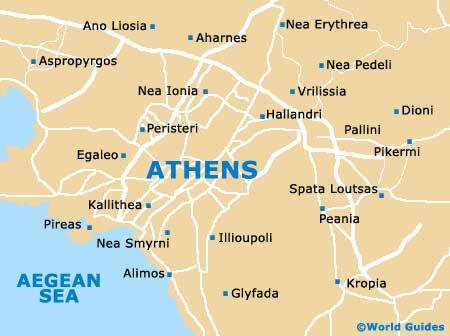 Within the Athens Metropolitan Area are some 58 different suburbs, which are loosely based in four zones - north, south, east and west. The city itself is generally considered to be a sprawling and often chaotic mass of streets, with a majority of attractions being just a comfortable stroll from Syntagma Square. Most streets are easy to navigate, particularly if you have a map, since they are signposted in both Greek and English. Further afield, tourists holidaying in Athens will find that ferries regularly depart from the neighbouring port of Piraeus, sailing to various Greek islands within the Aegean Sea. Those headed to Patras or Thessaloniki will find both of these popular destinations connected by busy highways. 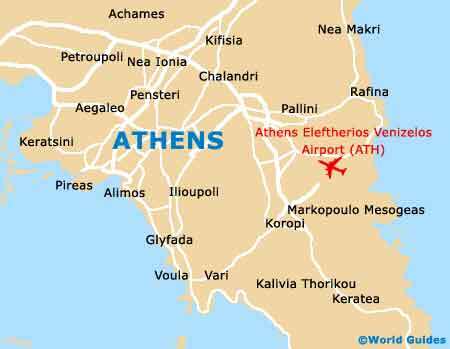 The Attiki Odos is another important motorway and links the westerly suburb of Elefsina with Athens International Airport.